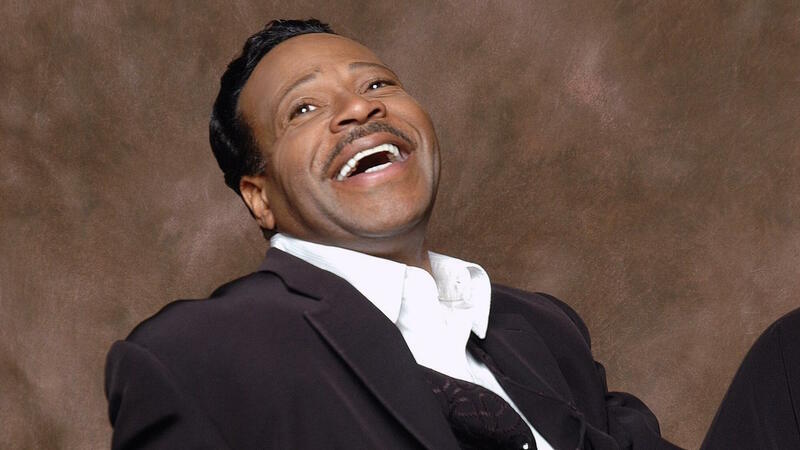 Gospel singer and four-time Grammy Award winner Edwin Hawkins died Monday at the age of 74. Hawkins wasn't sure about it either. It wasn't even his favorite song on the album. Only 500 copies were made and sold, but one those copies ended up in the hands of a San Francisco DJ who spread it. By 1969, the song reached No. 4 on the Billboard Hot 100. The following year, "Oh Happy Day" won a Grammy for best soul gospel performance. Singer Donald Lawrence was just a kid when "Oh Happy Day" was released, but he remembers hearing it all the time. "I enjoyed the way the lead started up, you know, kind of mellow and then it built up and went back down and had dynamics," Lawrence says. Hawkins never had another crossover hit quite like "Oh Happy Day," but Lawrence, who later became a family friend to Hawkins, says the song's popularity broke boundaries. "It gave people the idea of doing more with gospel music," Lawrence says. "Meaning that they didn't limit it to what was considered a gospel music sound at that particular time." Listen to the entire story in the player above. The gospel world has lost one of its pioneers. Choirmaster Edwin Hawkins was the force behind one of gospel's biggest hits, "Oh Happy Day," released in 1969. Hawkins died Monday of pancreatic cancer at his home near San Francisco. He was 74. NPR's Elizabeth Blair has the story behind the song that made him famous. ELIZABETH BLAIR, BYLINE: It was an accidental hit. In 1968, Edwin Hawkins and his friend Betty Watson were trying to raise money to take their youth choir to a gospel competition. At the time, most churches were still doing traditional organ and piano gospel in the spirit of greats like Mahalia Jackson. BLAIR: But Hawkins wanted to try something new. He grew up listening to all kinds of music - country-western, jazz, Nat King Cole. For his choir, he revamped and old 18th century hymn. DOROTHY MORRISON: The original was, oh, happy day, da, da, da (ph) - oh, happy day. 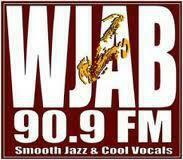 BLAIR: Dorothy Morrison, who sings lead on the recording, says Edwin Hawkins put some soul in it. He changed some of the lyrics, sped up the tempo and recorded it with a full band. "Oh Happy Day" starts with a jazzy drumbeat and a kind of blues-pop piano groove. BLAIR: Morrison's vocals are backed by a choir of more than 40 singers. MORRISON: (Singing) ...When Jesus washed. UNIDENTIFIED CHOIR: (Singing) ...When Jesus washed. BLAIR: Dorothy Morrison says at first, that pop feel got a lukewarm reaction from the church. MORRISON: Oh, the reaction - at first the reaction of the church was like, well, we're not sure. BLAIR: Edwin Hawkins wasn't sure, either. It was a low-fi recording made in a church in Hawkins' home town of Oakland, Calif. Five-hundred copies were made. Five-hundred were sold. One of them ended up in the hands of a San Francisco DJ who started playing it on his rock and blues show. It spread. DONALD LAWRENCE: I just thought it was so cool. I just, like - it just reminded me kind of, like, rock music of that particular time. BLAIR: Gospel singer Donald Lawrence was just a kid when "Oh Happy Day" was first released, but he heard it all the time. LAWRENCE: And I enjoyed the way the lead started, you know, kind of mellow. And then it built up, and then it went back down. It just had dynamics. UNIDENTIFIED CHOIR: (Singing) ...To watch, fight and pray, fight and pray. BLAIR: The song reached the top of the Billboard charts and won a Grammy. At the time, music was just a hobby for Edwin Hawkins. But he noted later, "Oh Happy Day's" success, quote, "decided my fate." Soon his choir was opening for major pop stars. In 2010 on the Christian television network TBN, Hawkins talked about opening for The Isley Brothers at Yankee Stadium. HAWKINS: They were so excited. And it made me realize. I said, oh, we're somebody special, huh? BLAIR: Edwin Hawkins never had another crossover hit quite like "Oh Happy Day." But Donald Lawrence, who later became a family friend of Hawkins, says the song's popularity broke boundaries. LAWRENCE: It gave people the idea of doing more with gospel music, meaning that they didn't limit it to what was considered a gospel music sound at that particular time. BLAIR: Edwin Hawkins went on to win three more Grammys in the gospel category, including for a live album released in 1992. Elizabeth Blair, NPR News. UNIDENTIFIED CHOIR: (Singing) Oh, happy day... Transcript provided by NPR, Copyright NPR.